We want to thank you for visiting our website. We hope that you will find our site helpful in your search for information on funerals and the services we provide. It is our purpose to provide adequate information if you are considering making plans in advance of need or if you have experienced the death of someone you love. 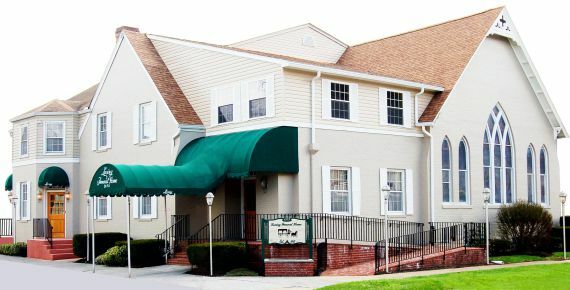 As the oldest family owned and operated funeral home in the Alleghany Highlands, Loving Funeral Home has earned a reputation of assisting the families we serve with caring and compassion and it is our hope that our site will help you become more familiar with Loving Funeral Home and allow our family to care for your family, as we have done faithfully since 1913. If you would like further information please contact us by telephone: 540-962-2283, e-mail us at lovingfh@aol.com or visit us at your earliest convenience. It's not unusual to feel lost and alone after losing a loved one. Our grief support programs can help you through this difficult time. Visit our Online Grief Resource Center here. or call us at 540-962-2283.